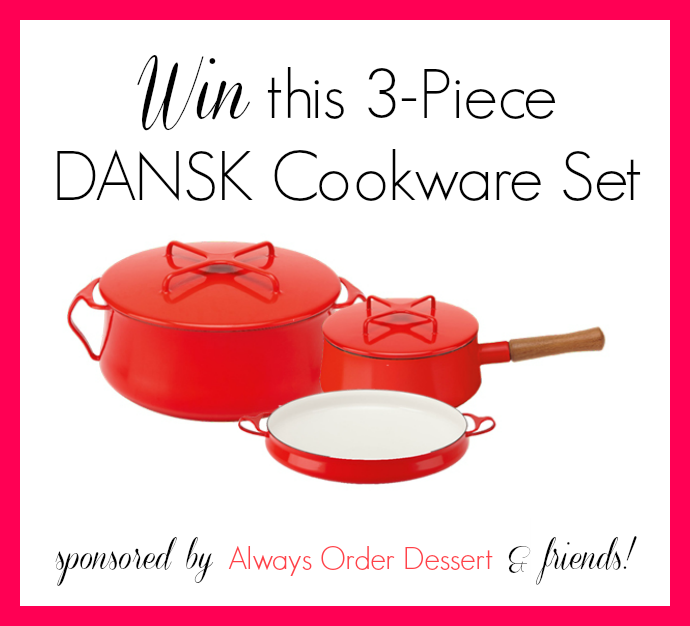 Giveaway: Win a 3-Piece Dansk Enamel Cookware Set! I have a fun giveaway for you today--and it's a big one! These are some amazing pots. If you've never tried them, they're heavy enamel pots perfect for baking, stews, braises--really just about anything! I love the elegant and slightly retro mid-century Danish design of these pretties. To enter, just scroll down and sign up through the Promosimple widget, below--so easy! RULES: All entries must be in by 11:59 pm EST on Tuesday, March 19, 2014. You must be 18+ to enter and live in the continental US. One winner will be selected at random and contacted via email. Click here for full giveaway terms and conditions.